Repairs to the play area at Orgill park have been made alongside a refresh of the play bark throughout the site. The Copeland Council Parks and Open Spaces team is responsible for cleaning and maintaining 14 play areas and two teen spaces across the borough. The award-winning team was ranked top in the UK by the Association for Public Service Excellence, for the value-for-money way it looks after its open spaces, in 2016. 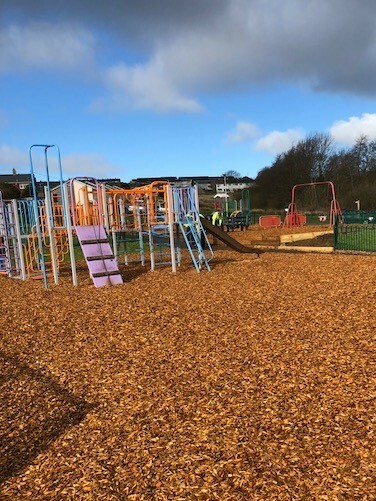 Councillor Mark Holliday, Portfolio Holder for Open Spaces, said: “Our team got to work making essential repairs to the equipment, and replacing the play bark in time for the Easter school holidays. Other duties of the team include maintaining over 180 hectares of land, over 200 hectares of woodland and cares for grounds in five working cemeteries and 12 closed ones, alongside the running and upkeep of Distington Hall Crematorium. For more information and to contact the team regarding commercial grounds maintenance email openspaces@copeland.gov.uk.